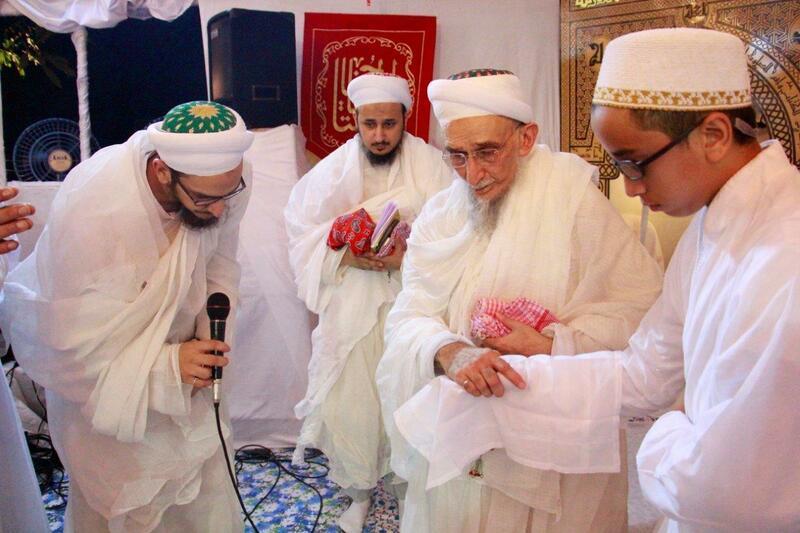 Syedna Khuzaima Qutbuddintus performs Ashara Mubaraka 1437H wa’az on Takht-e-Imami in Darus Sakina, Mumbai with great shaan, bestowing pearls of divine wisdom and ma’refat, and delivering deeply meaningful orations about faith in Allah, and our leaders in faith, the Panjetan Paak, Imams, and Dais. In each waaz, Molana gives guidance for this world and the next, raising high the stations of all mumineen who have the high fortune to behold his radiant visage and hear his luminous sermons. At the heart of every waaz is Syedna’s heartrending narration of the martyrdom of Imam HusainSA. 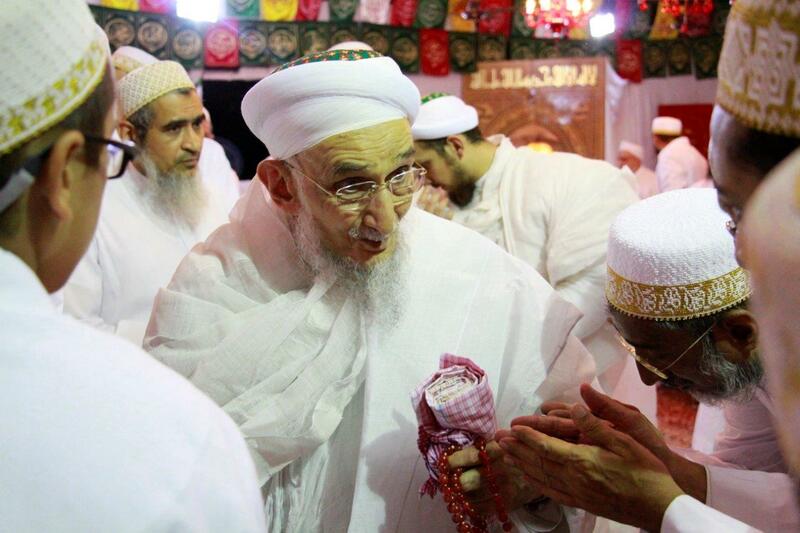 Also in every waaz, Syedna bestows pearls of dua for mumineen gathered here as well as mumineen everywhere in the world. Waaz is held in the afternoon, followed by maghrib-isha namaaz. 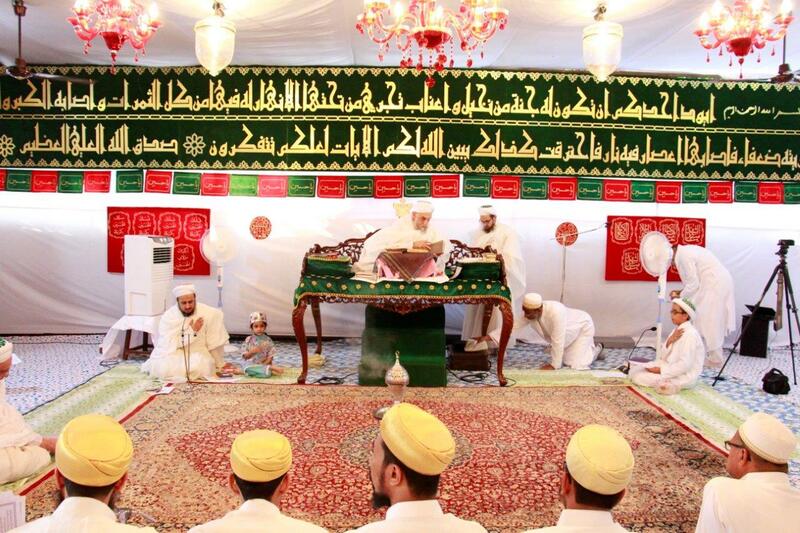 After namaaz, while Syedna is in the qibla, poignant marsiyas are recited and mumineen perform pur-josh maatam. Each day’s program ends with Imam Husain niyaaz jaman. In the tenth waaz on Aashura afternoon, Syedna TUS ascended the takht-e-imami with grief and mourning for Imam Husain, in order to recite Imam Husain’s shahadat ‘maqtal’. In the initial, nasihat section of the waaz, Syedna counseled mumineen to follow the 7 pillars (Di’amat) of Islam: walayat, taharat, salat, zakat, sawm, hajj and jihad. He explicated the ninth and tenth characteristics of Ali’s Shia in this world: not becoming enamored of this world (bughd al-dunya) and generosity (sakhawat). He then related the 10 characteristics of Ali’s Shia in the hereafter: A mumin will enter Paradise (1) without being asked about his actions, (2) without his misdeeds being weighed, (3) he will be handed his account-book in his right hand, (4) he will be saved from the fire, (5) his face will be radiant, (6) he will be received with honor, (7) Allah will gaze at him with his eye of mercy, (8) he will be allowed to intercede for 100 of his loved ones, (9) he will be given countless favors, and (10) he will enter Paradise without being questioned about his errors. 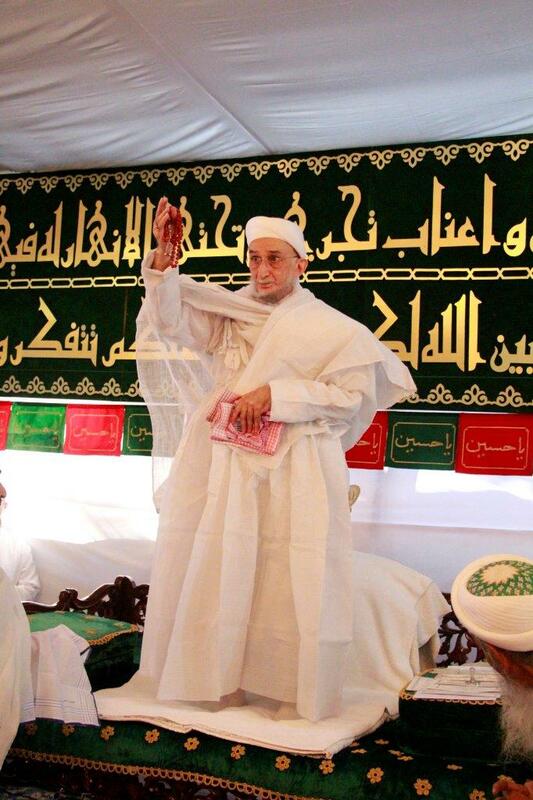 May Allah ta’ala keep our Shafiq Bawa, Syedna Khuzaima Qutbuddin tus, in sehhat and nemat till the end of time. May he scatter pearls of Aale Muhammad’s ilm, and recite Husain Imam’s shahadat year after year. May we and our children and our children’s children have the good fortune to sit at his feet and garner qudsi barakaat and mourn Imam Husain. In the ninth waaz on Aashura morning, Syedna Qutbuddin TUS began with Rasulullah’s hadith “Whosoever weeps for my grandson Husain, or moves another to weep, or endeavors to weep, is assured Paradise.” Syedna declared that Imam Husain’s shehzada Imam uz-Zamaan is present on this earth and on this day, he is mourning his forebear Husain. Indeed, it is as though we mourn seated in Imam uz-Zamaan’s radiant presence (Hazrat Nabawiyya), for we mourn Husain with his Dai. Syedna related this important historical vignette, which is again deeply meaningful in our present time: Maulana Qadi al-Numan questioned Moiz Imam regarding Ja’far us Sadiq Imam’s Nass, asking him why didn’t Sadiq Imam perform a public Nass on Imam Ismail and after his demise on Imam Mohammed bin Ismail, as that would have prevented the confusion that the community was thrown into after Sadiq Imam’s demise, and would have prevented the split between the Shia into Ismaili and Isna-Ashari. Moiz Imam irately replied that Sadiq Imam acted as the hikmat in his time dictated he act, and by this ambiguity and secrecy he preserved the life of the coming Imam, saving him from the Abbasid caliphs who expended all efforts in trying to assassinate him. 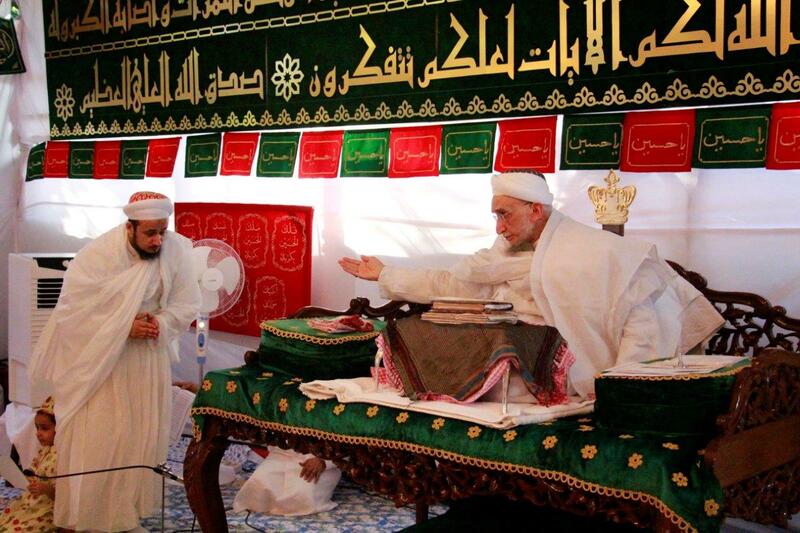 In the eighth waaz, Syedna Qutbuddin TUS opened with glad tidings of salvation (najaat) for all who bear love (muhabbat) for the Awliya kiraam, culminating in their successor Imam uz-Zamaan and his Dai. Syedna narrated the report of Ziyaad al Aswad, who came to Ja’far us Sadiq Imam walking on foot from a far land, because he did not have the means to buy a large camel for easier travel. Sadiq Imam valued the deep love that prompted Ziyaad to come to the Imam, and exclaimed “What is religion but love!” (hal id deeno illa l hubb). 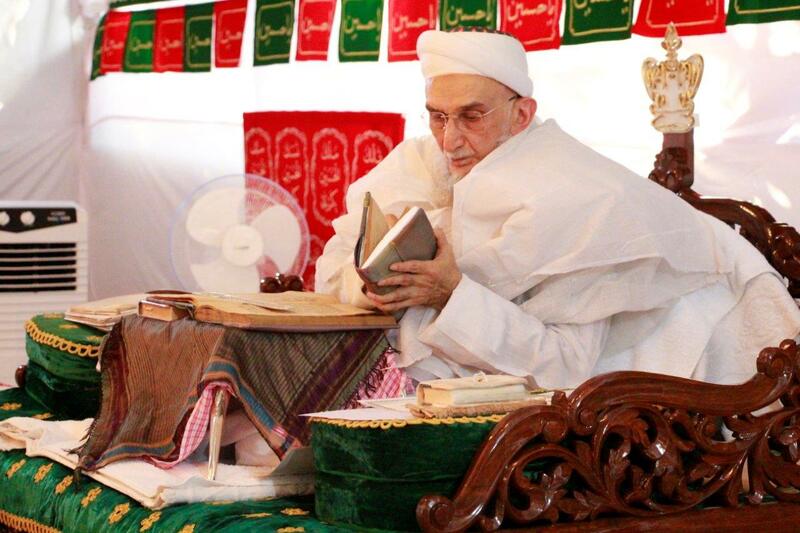 Reciting the Quranic verse “The true Dawat belongs to Allah” (lahu da’wat ul haqq), Syedna lucidly narrated in comprehensible terms the profound philosophical mysteries of our creation and return (mabda and ma’aad). Regarding the Cycle of Concealment (Dawr al-Satr), Syedna related the history of the cycles (dawr) of the first four prophets: Adam Nabi, Nooh Nabi, Ibrahim Nabi, and Musa Nabi. Syedna related the report of Idris Nabi in Adam Nabi’s cycle: Idrees Nabi’s predecessor had appointed him in the presence of hudood, but those individuals were either deceased or not present when the predecessor Nabi passed away. So Idrees Nabi himself announced to mumineen that he was the Mansoos and Sahib az-Zamaan; he made an astronomical instrument—an astrolabe—with which he cosmically established his right. Similarly in Musa Nabi’s cycle, Sulayman Nabi’s Nass on his successor was private. Syedna Qutbuddin explained that Sulayman Nabi’s father Dawood Nabi’s age, was one of ease and sa’aadat, whereby Dawood was able to make his Nass on Sulayman Nabi public. But in Sulayman Nabi’s time, there were circumstances which prevented him doing the same. 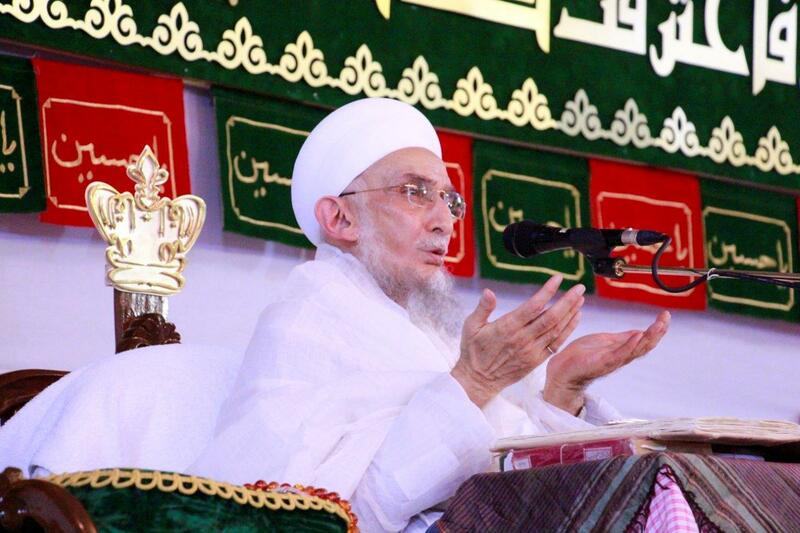 In the present age, Syedna Taher Saifuddin’s age was one of ease and sa’aadat, whereby he was able to make his Nass on Syedna Mohammed Burhanuddin public. 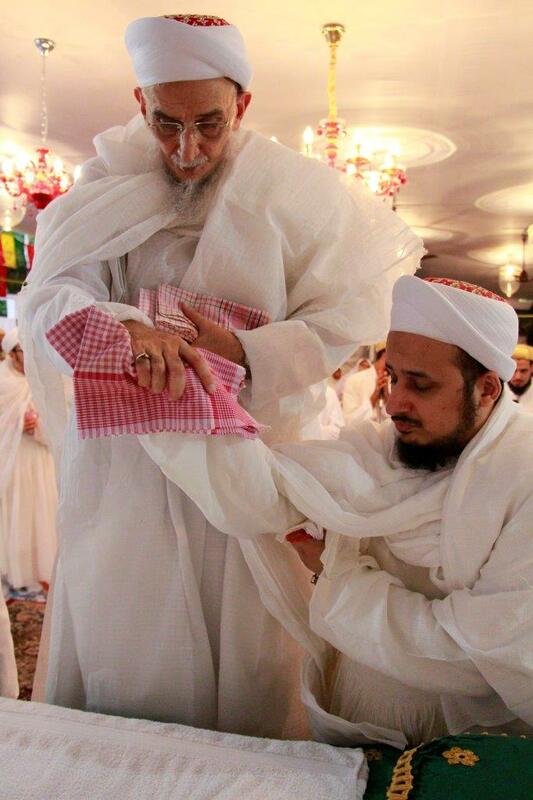 But in Syedna Burhanuddin’s time, there were circumstances which prevented him doing the same, and he performed private Nass on his successor the 53rd Dai Syedna Khuzaima Qutbuddin. 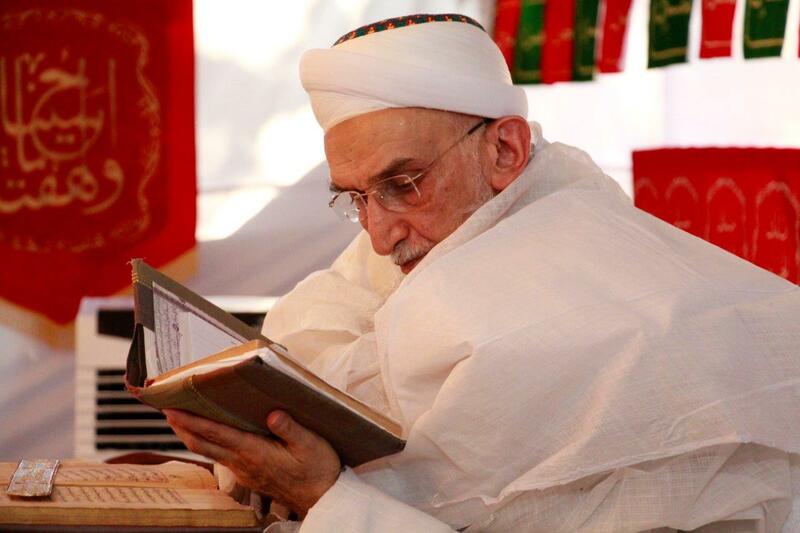 Syedna explicated the eighth characteristic of Ali’s Shia: memorizing the Quran (hifz al-Qur’an). 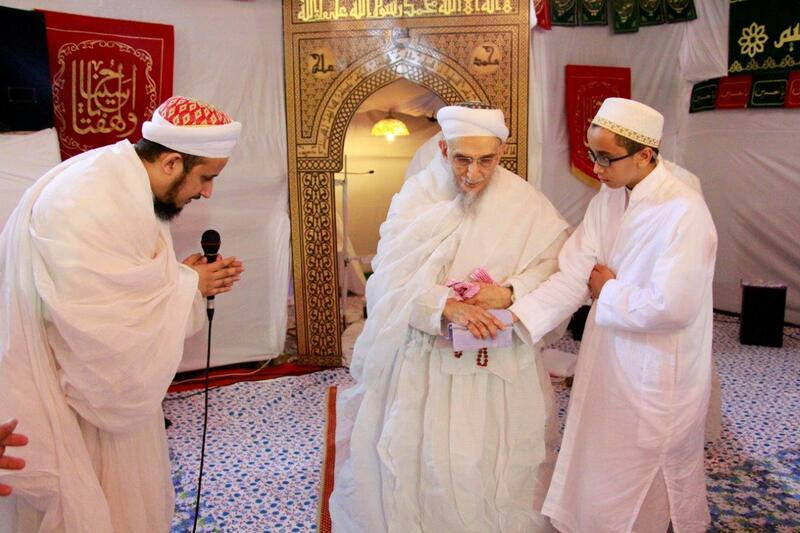 Syedna encouraged all mumineen, men, women and children, to recite the Qur’an every single day, and to memorize it’s surats. In the seventh waaz, Syedna Qutbuddin TUS narrated the glad tidings given by Prophet Muhammad in his hadith: “Indeed, it is the followers of Ali who will win paradise” (Shi’ato Aliyyin humul fa’izoon). In this waaz, Syedna expounded the lofty station of Maulana Ali. He explained that the numerical value of Ali (Ayn-Lam-Yeh) was 110, and that it encompassed the creed of God’s unity (shahadat of tawheed) and also was the sum indicated by the letters Meem and Ayn: Muhammad and Ali, together (in Arabic, ma’an, written with Meem and Ayn). Based on the three letters in Maulana Ali’s name, Syedna narrated three reports: (1) Amirul Mumineen’s excellence (fazilat): a lowly slave of the Banu Riyah clan had the honor of 70 tribes of angels praying at his bier (janaza), and of the Prophet leading the janaza prayer, because of the man’s professed love for Ali. (2) Amirul Mumineen’s miracle (mujiza): from Kufa in Iraq, Amirul mumineen miraculously enabled his devoted Companion Jabir bin Abdillah al-Ansari to visit (ziyarat) Rasulullah’s grave in Medina (3) Amirul Mumineen’s battle (ghazwat): In the Battle of Ohad, when the Meccan pagans who were the Prophet’s enemies attacked him in Medina, Ali was the only person who stood steadfast in obeying Rasulullah in his command not to leave battle posts to chase after the retreating army. Rasulullah was badly wounded in this battle, and it was only Maulana Ali’s fervent defense of him that saved the day, such that Rasulullah said to Jibraeel “Ali is part of me, and I am part of Ali.” The residents of heaven called out, “There is no warrior but Ali, no sword but the Zulfaqar” (La fata illa Ali la sayfa illa Zulfaqar). 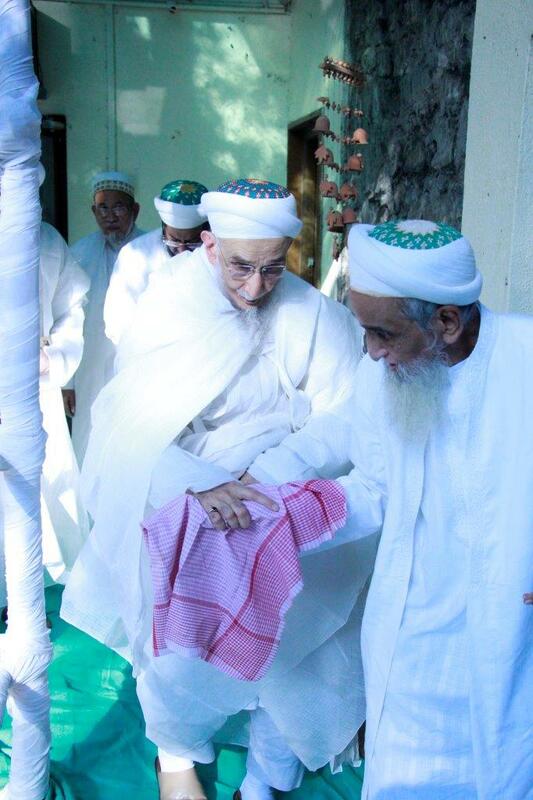 Relating these events and reports to our present times, Syedna said that many say they are afraid to declare allegiance to the rightful Dai, even though they believe he is the rightful Dai, because they are afraid of being denied burial rights in the Bohra cemeteries currently controlled by the other side. 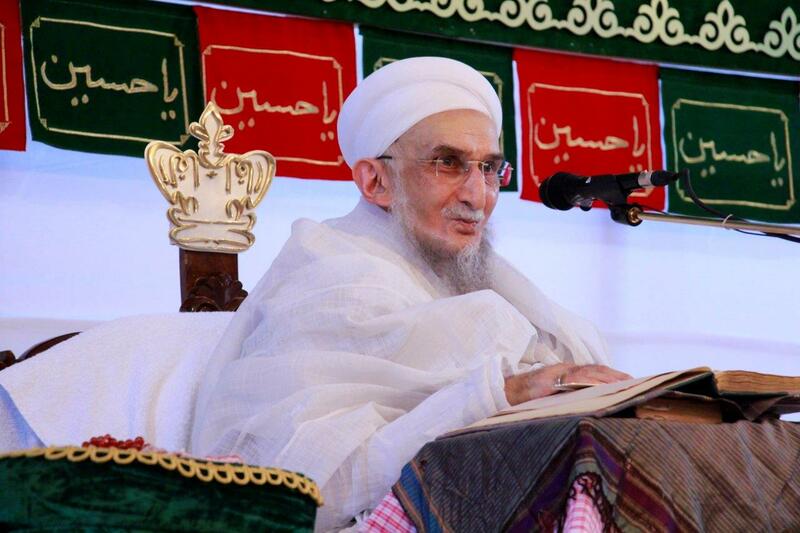 Syedna said the body can be buried anywhere in God’s earth. When a mumin passes away on Hajj, he is buried in the Muslim cemetery there. What is important is your soul, your belief; only giving misaaq to the true Dai of Imam uz-zamaan will ensure your salvation (najaat). 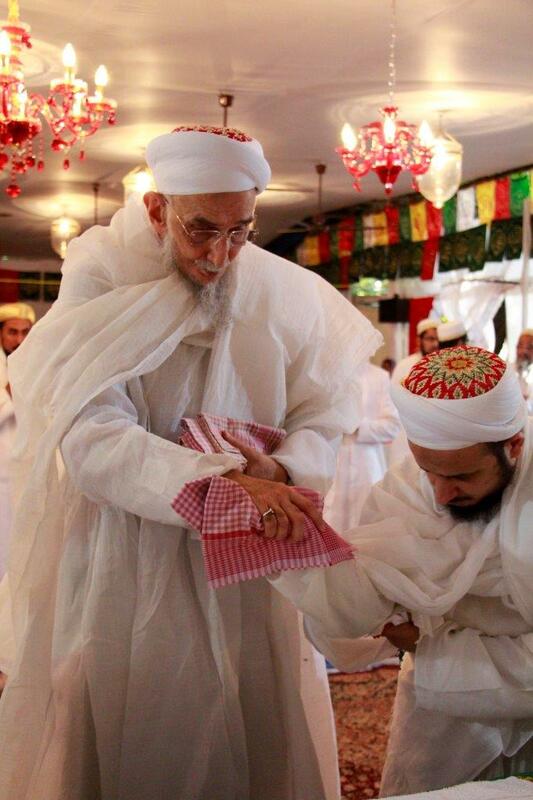 Syedna prayed that may Allah grant all those of our community who have been misled, those who do not bear hatred for me, may Allah grant them tawfeeq to answer the true Mansoos of Syedna Burhanuddin RA, the true 53rd Dai Khuzaima Qutbuddin. 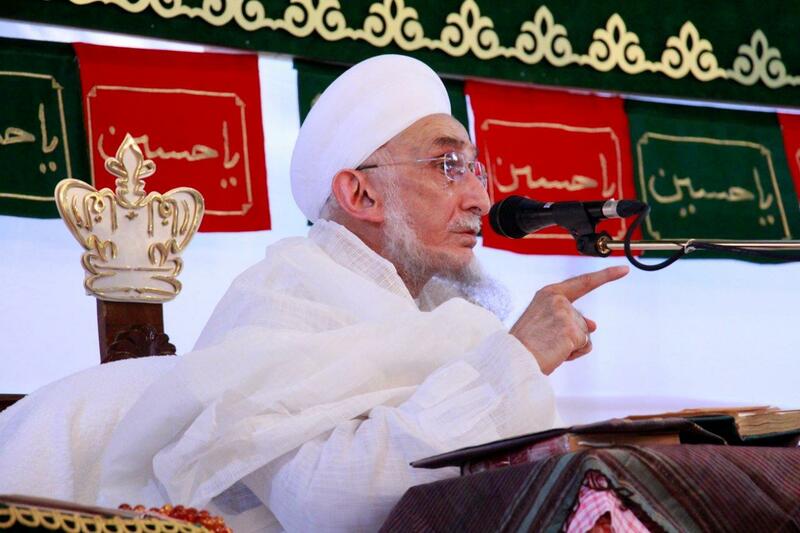 Syedna also narrated an enlightening report of recent history: In the 47th Dai Syedna Abdulqadir Najmuddin’s RA era, there were individuals among Syedna’s own family members who were spreading poison about Syedna Najmuddin’s nass and the legitimacy of his dai-ship. 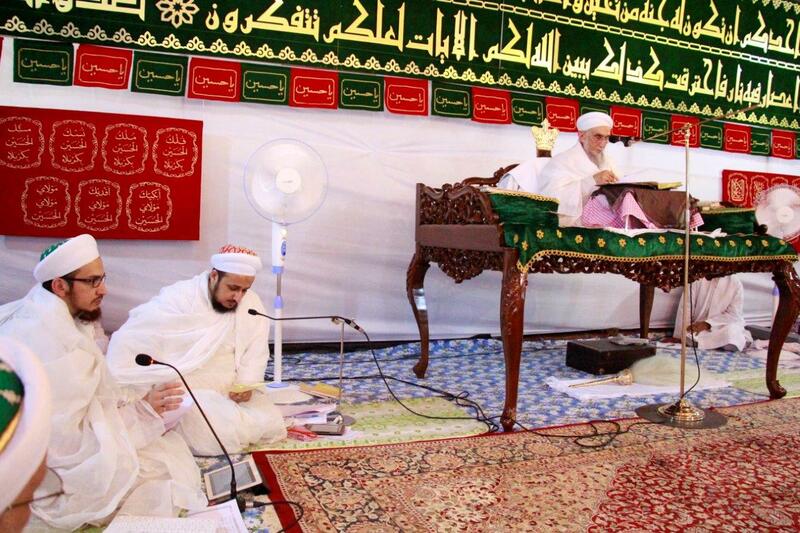 At a ziyafat held in honor of Syedna Najmuddin, a leader of those backbiting individuals was present. At the end of the meal when the mukhlis host of the ziyafat—who was named Dost bhai Seth—served betel leaf (paan) with silver glazing to the sahebs sitting around Syedna Najmuddin, this detractor said with crafty innuendo pointing towards Syedna Najmuddin: “Is the paan’s silver glazing real or fake?” (Kem Dost bhai Seth, waraq sachcha chhe ke khota?). Dost bhai Seth answered: “The silver is real; making the real appear fake is what you do.” (Waraq toh sachcha chhe, pun sachcha ne khota banawu aapnu kaam chhe). Syedna narrated the 8th quality of Ali’s Shia: They do not solicit from people (al-iyaas min al-khalq); they look only to Allah and his wali for help. Syedna ended the waaz with moving shahadat of Amirul Mumineen, and narrative of Husain’s three Alis: Ali Asghar, Ali Akbar, and Ali Zainul Abedeen. 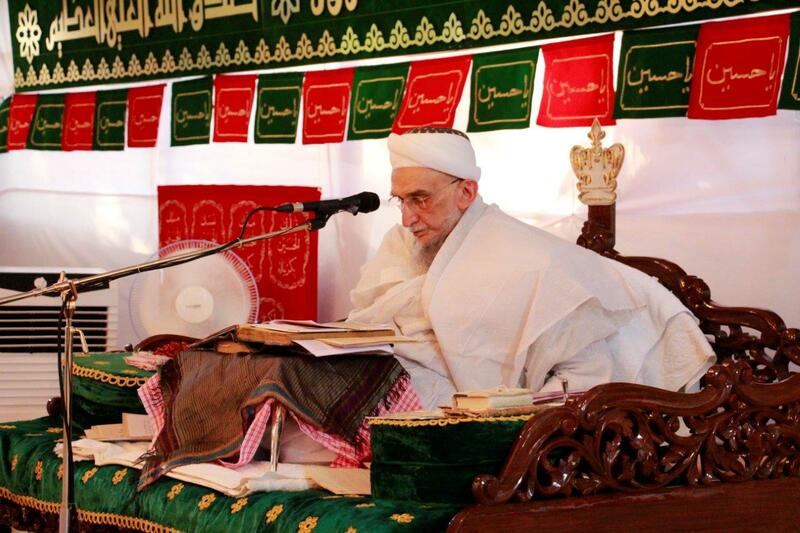 In the sixth waaz, Syedna Qutbuddin TUS narrated reports of Maulatuna Fatema tuz Zahra’s AS high station. The Prophet’s Companion (sahabi) Salman al-Farisi did sajda for her, as he did sajda for her father, bowing to God’s light that he saw shining in the Prophet’s face. Nabi Muhammad commended Salman’s sincerity (ikhlaas), and said “Paradise awaits Salman more eagerly than Salman awaits Paradise.” In your age, you should cultivate “Salmaniyyat,” Salman’s jewel of ikhlaas, which will bring you closer to your Lord. 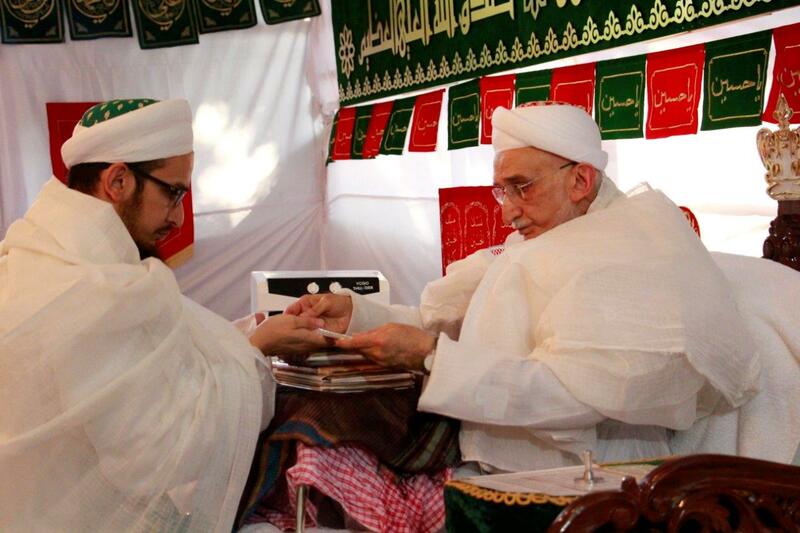 Syedna narrated the glad tidings (bisharat) stemming from the marriage of Fatema and Ali. The Prophet Muhammad was overjoyed at this marriage, because from it stems salvation for his community: There will be Imams in Fatema and Ali’s lineage till the last day, who will guide each successive generation of Muslims towards Allah taala. 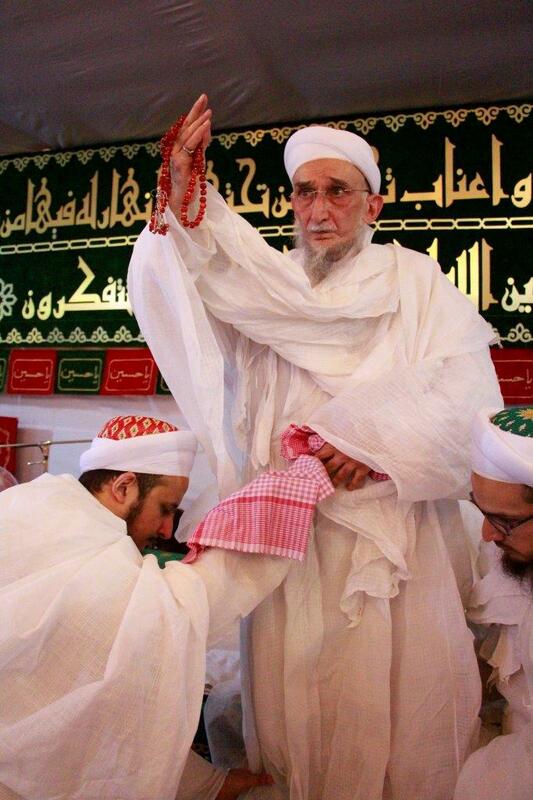 Syedna did zikr of Fatema’s luminous robe (pichhori)—which caused a full tribe of 80 Jews to accept Islam— today is Fatema’s Dawat, Fatemi Dawat, and it continues to give us light, through the Dai of Fatema’s son, Imam uz-Zaman. Syedna exhorted mumineen to uphold the ten qualities of Ali’s Shia that he had recounted beginning with the first waaz. The first quality is renouncing worldliness, the second thirst for knowledge, and the third religious practice (deendari). Continuing his explication of the fourth quality, worship (ibadat), he narrated Ja’far us Sadiq Imam’s words that Allah accepts worship only from those who uphold allegiance (walayat) to the true Imam. The fifth quality is heartfelt repentance. In this waaz, Syedna explicated in detail the 6th quality: prayer in the deep of the night (al-qiyam bi-l-layl). 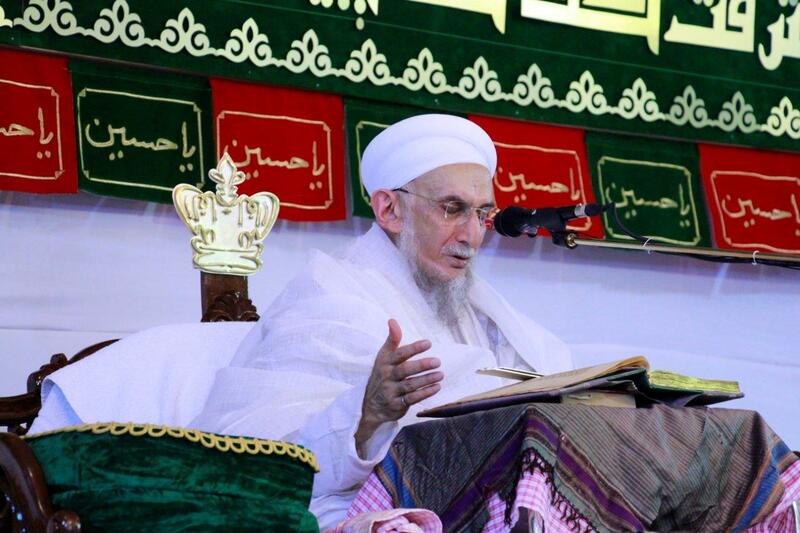 Syedna ended the waaz with a unique mode of doa, based on Maulatuna Fatima’s name, and he prayed eloquently and earnestly for mumineen, basing each doa on a letter of the name ‘Fatema’ (see details in the Sijill 89 article) . He narrated heartrendingly the plight of Fatema’s daughter Maulatuna Zainab AS in Karbala, and the shahadat of her two young sons Aun and Muhammad. In the fifth waaz, Maulana Qutbuddin explained the deep meaning of our Nabi’s pure name ‘Muhammad’, and the significations of the letters in the name: M and H are for Fatema and Hayder, and M and D are for Imam and Dai. The letters together convey the shaan of Muhammad’s entire epoch (dawr), and show how Muhammad’s Dawat will be propagated through the centuries till the Last Day. 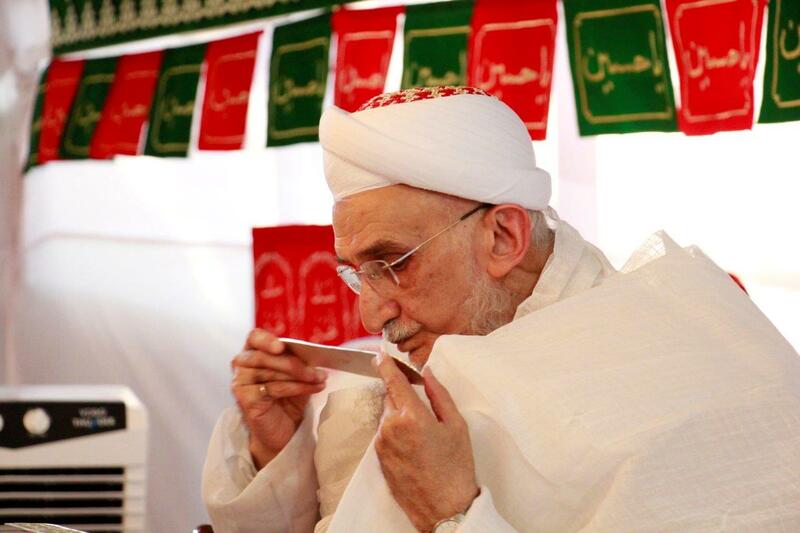 Syedna recited the glad tidings that we are connected organically to the Panjetan paak: Rasulullah SA said: I am a tree, Fatema is its trunk, Ali is its pollen, Hasan Husain its fruits, and our followers (shia) its leaves. Continuing his earlier discourse about the importance of knowledge, particularly ilm of Aale-Muhammad, Syedna recited Amirul-mumineen’s words, “Knowledge is the best inheritance.” He also exhorted mumineen to inculcate the fifth characteristic in the ongoing explication of the characteristics of Ali’s shia: true repentance from sins (tawbatan nasuh), which means you must commit to cleansing yourself of those sins for always. 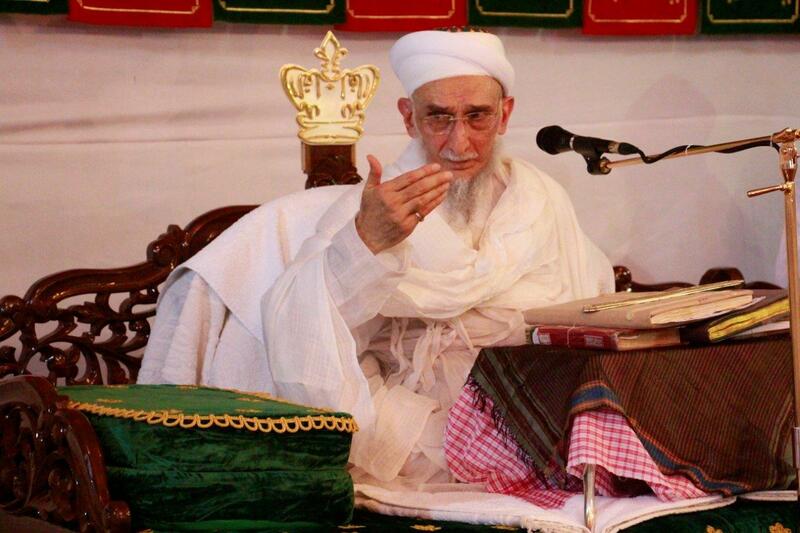 Syedna delivered a heartrending narration of Ali Akbar’s maqtal, and of Rasulullah’s shahadat. In the fourth waaz, Maulana Qutbuddin narrated reports of Nabi Musa AS and Nabi Isa AS. Nabi Musa saw in the Torah special praise of “Nabi Ahmad’s community,” and he asked Allah to make him part of them. Our Mawali have explained that “Nabi Ahmad’s community,” signifies the Dais of Rasulullah’s epoch, who have the honor of vicegerency (niyabat) of the mustaqarr imam in Rasulullah’s line. 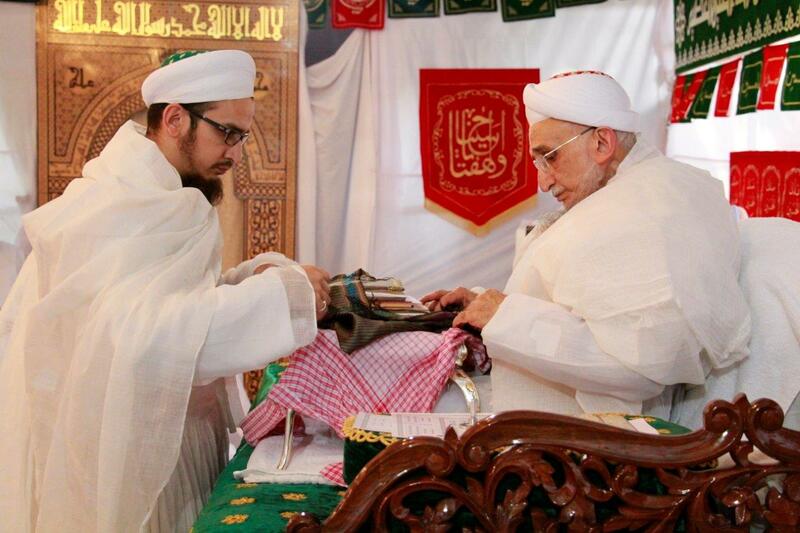 Syedna recited two ayats of the Quran which say “… do not die except as Muslims” (… wa-la tamutunna illa wa-antum muslimun). Syedna explained the high meaning of these verses, that muslim is from tasleem, literally, to ‘hand over’. In the first verse, Allah instructs each Nabi to hand over the Prophethood to his successor before he passes away, with the condition that he obtain verbal or written permission from the mustaqarr imam. In the second verse, Allah instructs each dai to hand over the dai-ship to his successor before he passes away, with the condition that he do so with the spiritual inspiration (ilhaam) of the imam. Continuing his earlier discourse about renouncing materialism (zuhd), Syedna did pur-lutf bayan about Nabi Isa which warns against forsaking Haqq-na-Saheb for bricks of gold, and warns against lying, especially to your Mawla. In the third waaz, Syedna continued Rasulullah’s wise counsel (maw’izat), explaining in detail the next two qualities that Ali’s shia must have: (3) piety (wara’), and (4) worship (‘ibadat, bandagi). He placed great emphasis on good deeds, saying we are Muslims and each of us must pray the five mandatory daily prayers, no matter where we are, or what we may be doing. He quoted Syedna Taher Saifuddin RA’s pithy words exhorting an attitude of enthusiasm and vigor: “You should not say, ‘I am made to do this’ (aa karwu parey chhe), rather, you should say, ‘I should be doing this and a lot more besides’ (ghanu karwu joiye).” In a lofty bayan of haqiqat and hikmat, Syedna explained the meaning of Nabi Ibrahim’s name, which encompasses the barakat of the celestial beings, and signifies the continuation of imams in his line till the last day. 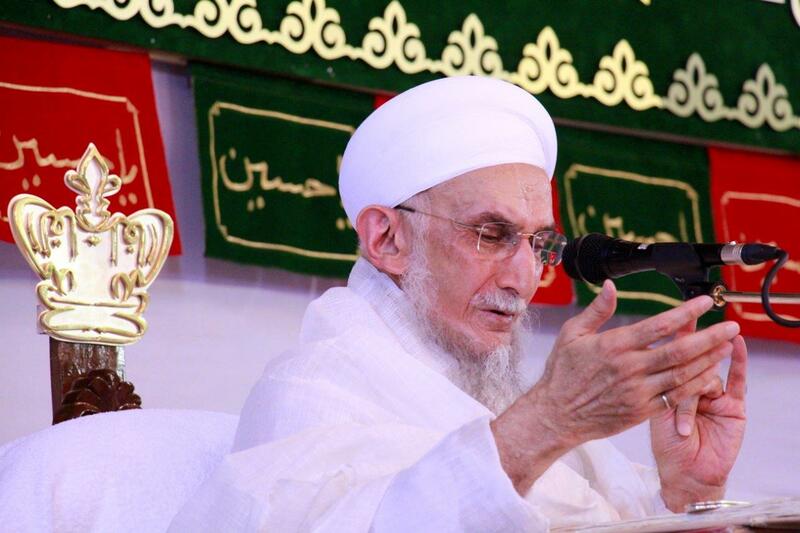 Syedna ended the waaz with doa for all mumineen, and rendered a touching narration of the shahadat of Ali Asghar. 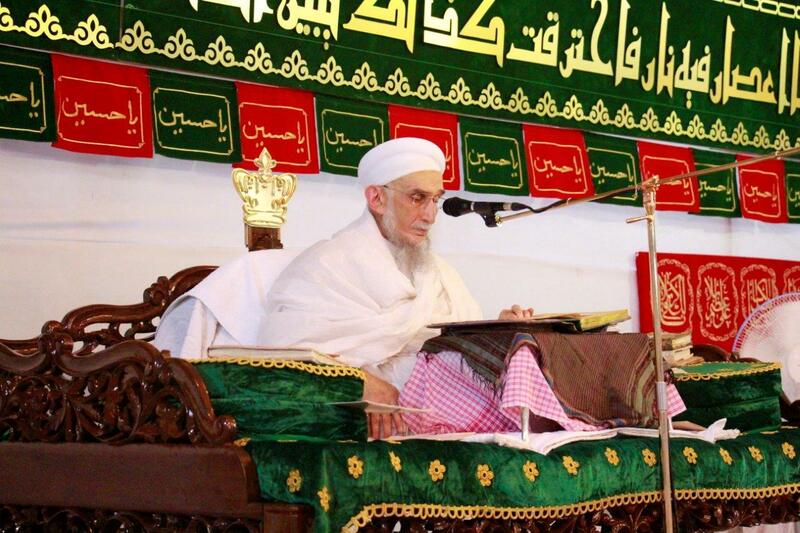 In the second waaz, Syedna’s discourse focused on Nooh nabi and his Ark (safina). He recited Rasulullah’s hadith, “My family are like Noah’s Ark— those who climb aboard are saved, those who waver are drowned.” Rasulullah is this epoch’s Noah, and his Wasi Ali is the Safina. 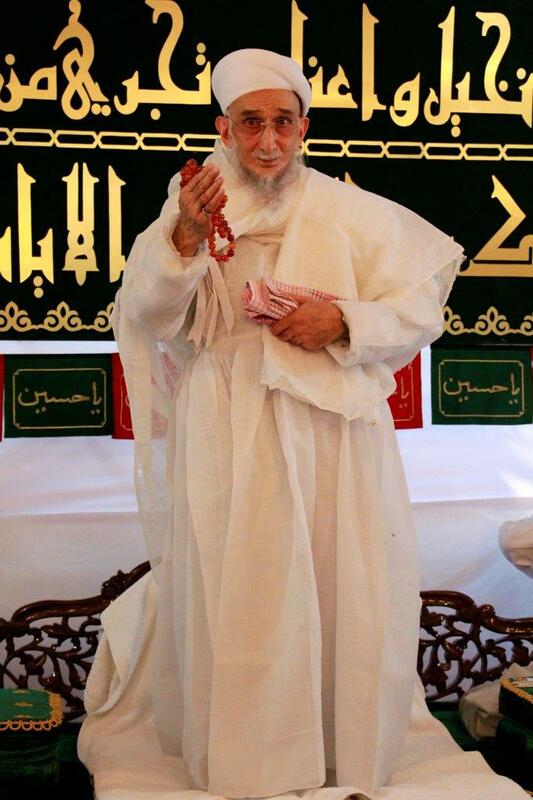 Each Imam in his age, and each Dai in the Imam’s concealment, is the Safina. Those who pledge allegiance to him and accept his guidance toward Allah are saved from the Sea of Corporeality, Bahr-e-hayula. Molana also recited Rasulullah’s hadith from Syedna Hatim’s kitaab, “Whosoever is given the rozi of Ali’s walayat obtains khayr in this world and the next. Whosoever loves Ali has—or should aspire to have—20 qualities, 10 in this world, 10 in the next.” Syedna explained in detail the first two of these qualities: (1) renunciation of worldliness (zuhd) while giving priority to the hereafter, and (2) longing for knowledge (ilm), particularly Dawat knowledge. In the shahadat bayaan, Syedna exhorted mumineen to remember Husain Imam’s thirst, and the thirst of his children, especially Maulana Ali Asghar. In the first waaz, Maulana Qutbuddintus recited the opening praise-of-God formula of hamd from the Majalis of Syedna Muayyad Shirazi RA, and expounded upon our Awliya-ullah’s strong faith and mumineen mukhliseen’s fortitude and service. 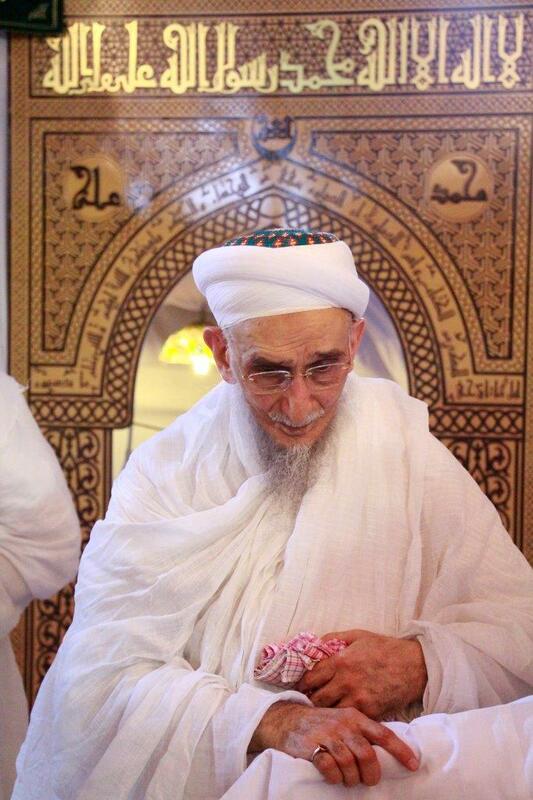 Keep faith with your principles, Syedna said, and your purpose in life will become crystal clear. Syedna Qutbuddin recited the following report of glad tidings: Maula Ali SA said to his Shia: “Rasulullah SA passed away pleased with you, for you have pledged allegiance to his Wasi.” Explaining a deep chapter of prayer, he recited Rasulullah’s hadith that those who await the prayer are already in prayer: when one Imam passes away, another takes his place, and just as mumineen had given misaaq to the previous Imam, they directly give bay’at to the new Imam. Those who pledge allegiance first, obtain first precedence in paradise. The same is true for Dais. 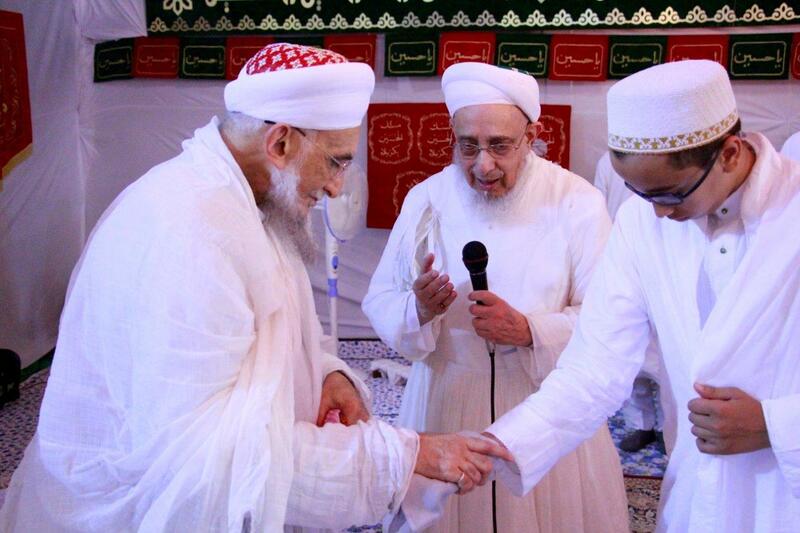 When the 52nd Dai Syedna Mohammed Burhanuddin RA passed away, mumineen mukhliseen immediately gave misaaq to his successor the 53rd Dai Syedna Khuzaima Qutbuddin. Syedna explicated the meaning of sajda: The Quran says the angels offered sajda to Adam nabi. Iblis refused and Allah banished him from heaven. The spiritual counterpart of sajda is the Imam. Husain’s sajda signified that there would be an Imam in his line, son after father, till the last day, who would guide the people on the path of truth. Husain’s supplication (dua) signified that in the Imam’s concealment, his Dai would establish his Dawat and guide mumineen. 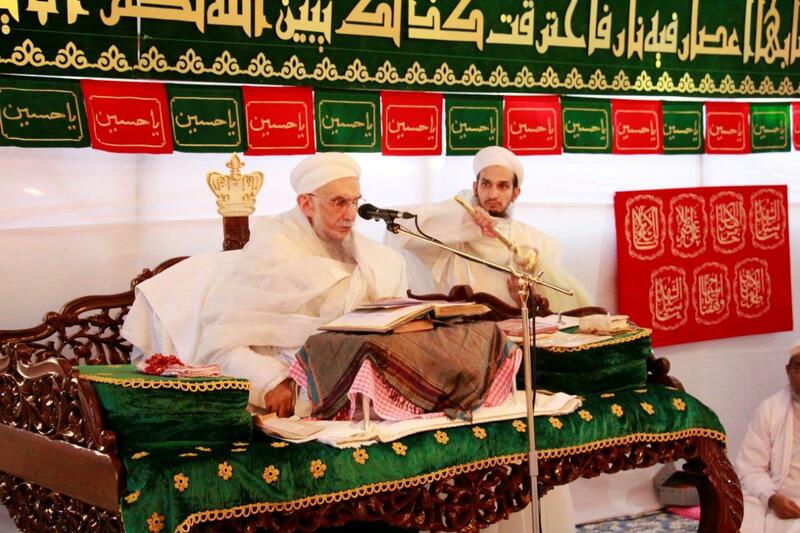 With Ta’eed-e Imami, Syedna explicated that the numerical value of the Arabic word sajda is 72. Husain, in his sajda, prayed for the 72 martyrs who gave their lives for him. Molana recited touching shahadat of the martyrs of Karbala, Muslim bin Usaja among Husain’s companions, and Abbas-e-Alamdar among his Ahle Bayt. In his dua, Husain remembered all mumineen; it is because of his dua that we are mumineen (believers), and God willing our children, and our children’s children, will also be mumineen.